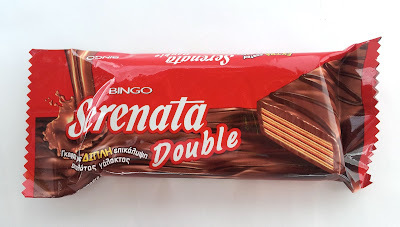 As far as wafer bars go, this Bingo Serenata Double wafer bar from Greece is one of the best I've tasted. (And I seem to have tasted a surprising number of late: Nestle Princessa Maxi Mleczna from Poland; Milka GoFree (Cokolatah Gofret) from Turkey; KitKats from America and Japan; Ulker Chocolate Wafer Bar from Turkey; and even the new Nestle Crunch Girl Scout Cookie Candy Bars from America.). 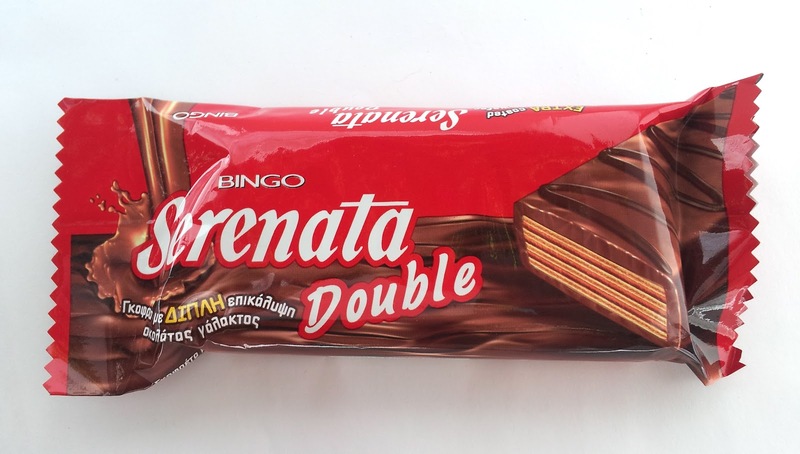 What makes the Serenata Double so good is the super thick layer of rich milk chocolate surrounding the wafer cookies. 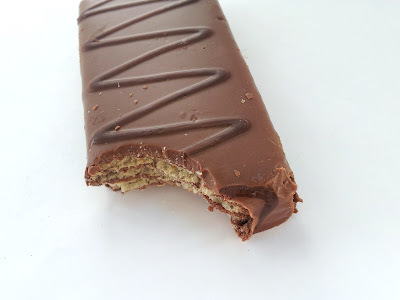 The ratio is just right, favoring the chocolate and allowing the crisp wafer cookies to act as a supporting, but fulfilling, role. 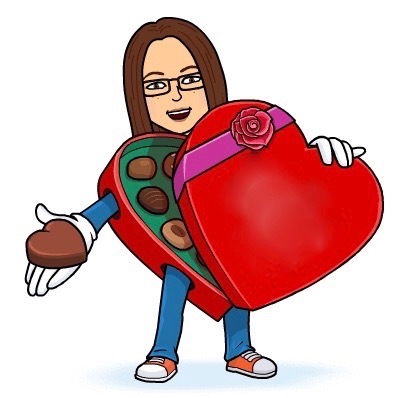 If you can find one of these, definitely snap it up. Thanks to Mrs. Lykidis for bringing this treat to taste! 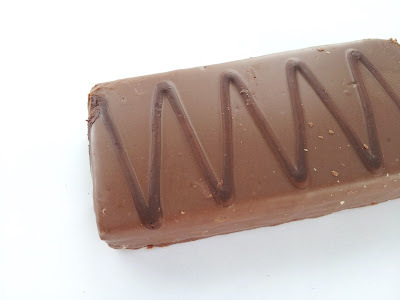 What a repertoire of wafer bars! I love the name of this one, so euphonious. If you happened to be coming west and happened to be stopping in Emeryville, perhaps you could bring some samples!